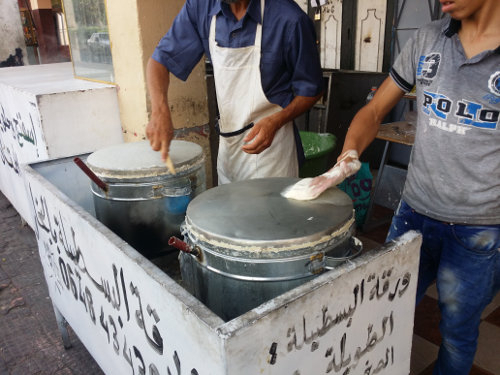 Tunisians have their sheets of brick, the Asian rice sheets, in Morocco they have "Lwerka" (translation: the sheet). 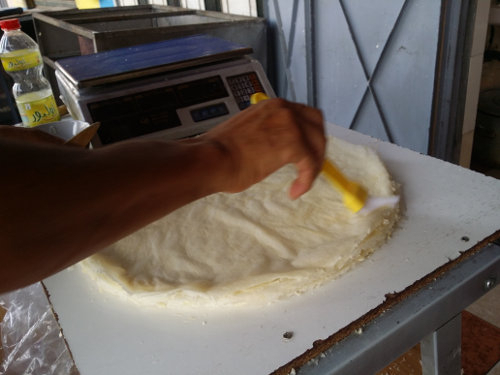 Extra thin sheets with wheat flour-based dough, essential for making Moroccan pastries and dishes. To get the finest sheets, the above of a special utensil (a sort of pan heated with steam) is struck with wheat flour dough balls. A thin layer of dough remains adhered on the side of the pan. Cooking does not exceed 30 seconds. Peel off that layer, it is "Lwerka". To successfully make these sheets, you need steam stoves and master a complicated technique. 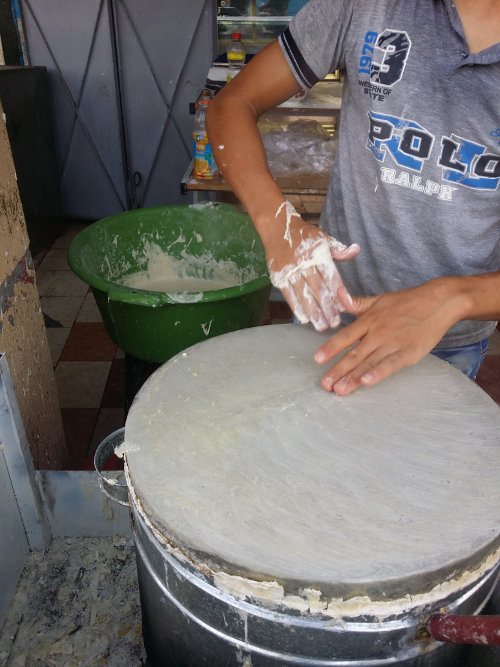 In Morocco, cooks buy them in the traditional pastry. Fried or baked, these leaves become extremely crispy, adding a special texture to dishes where they are used, and highlighting the stuffing. The "Bastila" (a word derived from the Spanish pastilla) is certainly a legacy of Andalusian culture. Today is the reference dish for receptions and special occasions. Starter, dessert and pastry, « Mhancha » (translation : snake-like) is a dish of the special days.